video called Informed: Life is Worth Living. 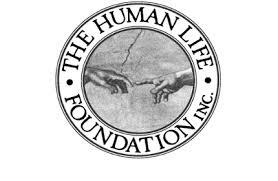 This documentary provides information and individual perspectives for making informed medical decision revolving around incurable disease and end of life issues. The Myth of Physician Assisted Suicide Safeguards. 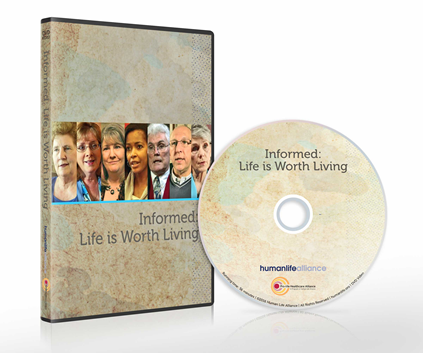 "Available in DVD format or online, "Informed" includes interviews with leading pro-life advocates such as Julie Grimstad (Life is Worth Living), Mary Kellett (Prenatal Partners for Life), Jennifer Hamann (CA Nurses for Ethical Standards), Dana Palmer (cancer survivor), Mark Davis Pickup (disability rights advocate), Dr. Karl Benzio (Lighthouse Network), and Jo Tolck (Human Life Alliance)." "More than just a sound bite, at a runtime of 56:49, this video offers an introduction to end-of-life decisions with depth. "It provides densely packed information. Viewers will want to watch this series more than once to get the full message," HLA Executive Director, Jo Tolck pointed out. "Informed: Life is Worth Living will save lives. This informative series is perfect for churches, small groups, and all of us who need to make critical medical decision." Copies can purchased in DVD format or online at humanlife.org. Click on image below or https://www.youtube.com/watch?v=FiGA_ztiD_Y to see my interview Facing the Disability Challenge because, well, this is my blog. Having said that all eleven segments of the video are worth seeing and I highly recommend getting a copy of Informed: Life is Worth Living.